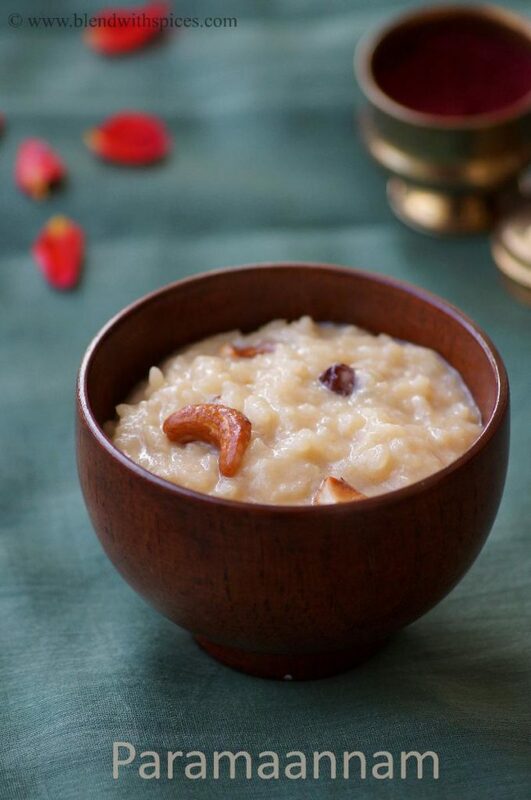 If you are looking for more Sankranti Prasadam recipes then do check Aava pettina pulihora, Bellam Pongali, Chakra Pongali, Chana Dal Payasam, Semiya Payasam, Rava Payasam and milk rava kesari. Add the rinsed rice and reduce the flame. Cook until the rice is very soft. You can also pressure cook the rice for 4 whistles. Combine the jaggery and water in a vessel and allow the jaggery to melt. Add the cardamom powder to the jaggery water and turn off the flame. 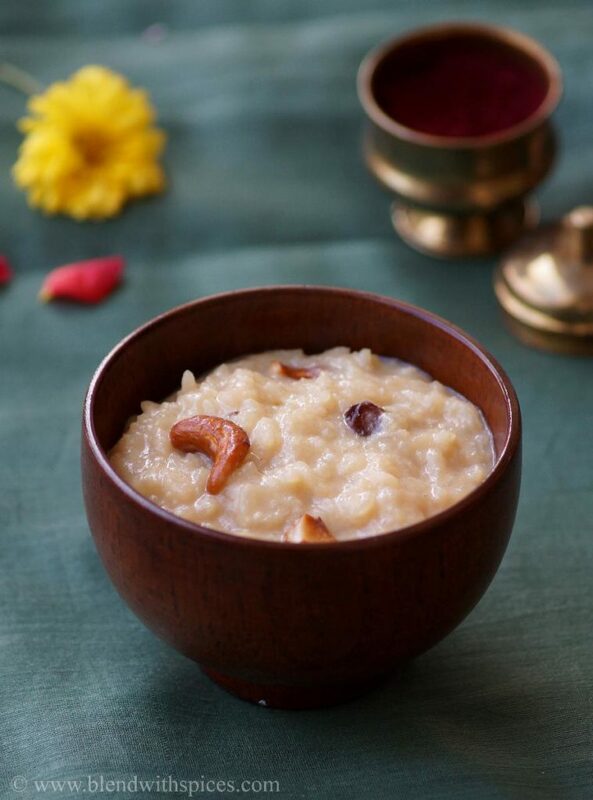 Now add this jaggery syrup to the rice and mix very well. Paramaannam laage undi andi me photograph, looks really delicious.. Simply delicious and comforting to look at recipe. Wonderfully prepared. 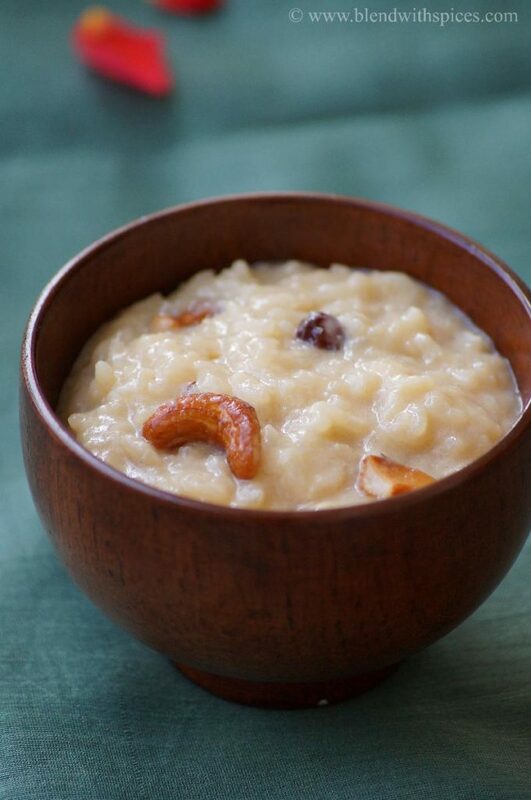 In advance prep for Pongal, this Parmannam looks delicious. Very beautiful and delicious parmannam. Photography is so soothing.